Tips & Treasures: Does Upromise pay you to buy groceries and gas? Does Upromise pay you to buy groceries and gas? 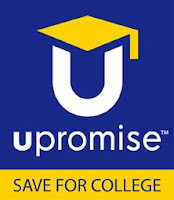 Have you joined Upromise yet? Not sure exactly what it is? Upromise is a company that gives you cash back for purchasing things that you probably buy regularly... like groceries, gas, household items, meals at restaurants. The money that you earn is put into a Upromise college savings account. They encourage you to then use that money for college.... for you, your children, grandchildren or whomever. You can choose to put the money into a 529 plan or you can request a check to pay towards your student loans, or other education related expenses. This is your money earned, so you choose what you want to use it for once you get your check. How do they know what you've purchased and how do you get credit? You simply need to register your grocery store cards, drugstore cards, credit cards, and debit cards. Then shop and purchase things as you normally would. That's it. Every time you purchase eligible items or purchase at an eligible retailer, they automatically credit your account with your cash back. So simple. And it's very secure so there's no need to worry about your personal info. I have my credit/debit cards registered as well as my CVS Extra Care card and my Acme card. And my Hubby's cards are registered as well. Our accounts are linked together and our savings gets combined. It may not be loads of money earned and it may take some time, but I don't pass up free money when it's being given out! Sign up for your free Upromise account here and don't forget to register your grocery & drugstore cards so you can start earning cash back right away.